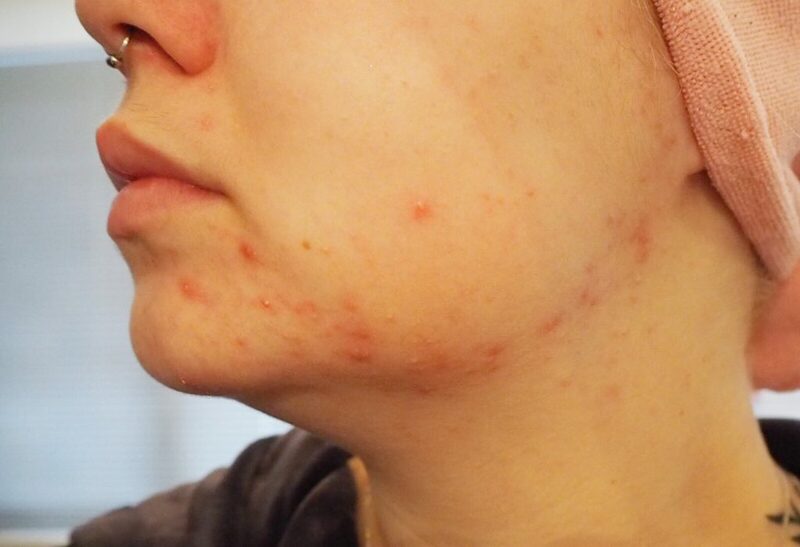 Man have I been having some troubles with my skin recently, if you’re a regular reader of my blog you’ll know my health has taken a really hard hit over the past year. My last post on it is here. All I can assume is that because of all the different medication I’ve continually been trialling, it’s hugely taken a toll on my skin. All around my jawline I have come up in quite bad spots. 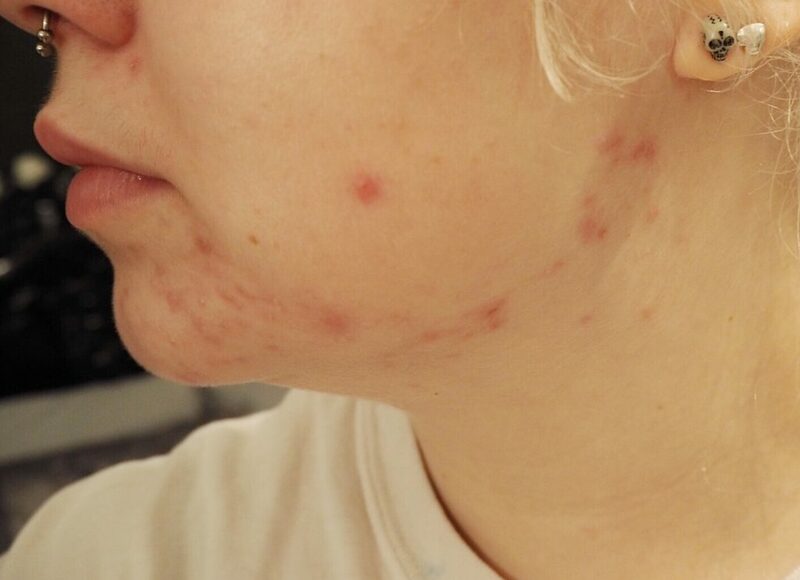 I’m not too sure whether it would constitute as acne but either way, it’s really started to get me down and knock my confidence as I’m someone who rarely ever got them at all before. Glamglow is a brand I’ve heard mostly great things about and for the price tag, I thought surely there must be something worth raving about if people are dishing out that money over and over again. After talking to a lovely lady who used to work for them on twitter about my skincare needs, I was recommended the Supermud mask as it’s a spot clearing one. At £42 a pop for a full sized pot, I was a bit hesitant. I waited it out until the January sales and luckily managed to bag a Supermud giftset for £28 which contained the full size Supermud mask aswell as three miniatures of the Thirstymud, Youthmud and Gravitymud which you’ll be seeing my thoughts on in my new upcoming “Mini’s Of The Month” feature – (previously Samples Of The Month). So I decided to trial this mask for 3 weeks before putting this post up. The directions are to use it 2-3 times per week so I went for 3 times to hopefully get the best results, as fast as possible. 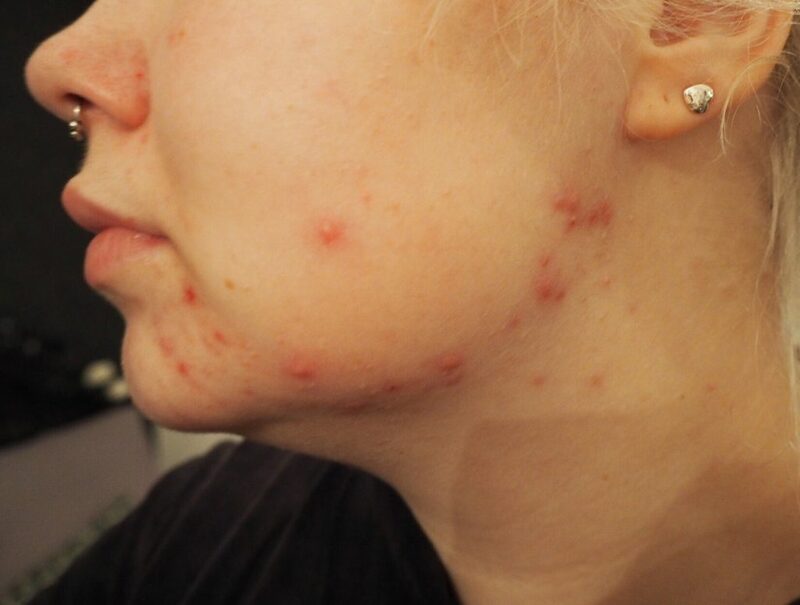 Also, sorry in advance for the pictures of my horrid skin – I wanted to show an accurate progression of how this has worked for me! Overall the benefits I’ve noticed from this Glamglow mask really aren’t that great. Admittedly some spots seem to be clearing quicker than they normally would and for around a day after applying the mask, their redness and prominence is noticeably not so bad but it doesn’t seem to last unfortunately. After the first week you can see my skin did start to clear a little but it seemed to get worse again after that. I also haven’t found that it does anything to prevent new spots from appearing either. I really had my hopes set on this mask that it might really help my skin as a few other things I’ve tried have failed but no such luck. Alongside this mask I’ve been using The Body Shop‘s Tea Tree Anti-Imperfection Solution and Vitamin E Moisture Cream! If I find some sort of saviour for my skin, I’ll be sure to report back on here. Or if you have any recommendations, send them my way! Realistically from my progress pictures, it doesn’t look like it’s made that much of a difference, does it? 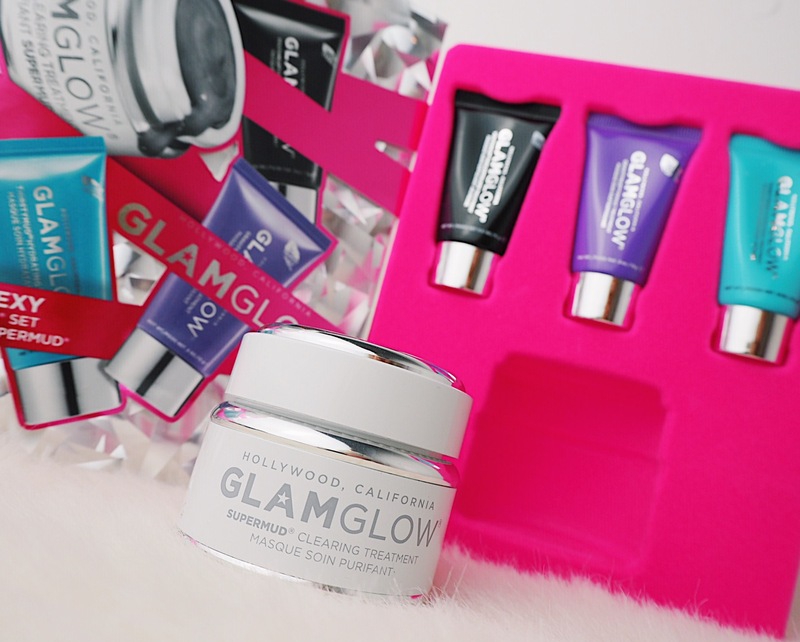 Have you tried any Glamglow products? What has been your verdict on them? "An Open Letter To Ignorance Around Invisible Illness!" I have to say i also find that it is over rated. There are products at a better cost which do a better job. Yeah I definitely agree, it’s a real shame! Thanks for sharing Alice. I’ve also been using the mud mask from Glam glow! I found that when i first used it (I was gifted a sample at a blogging event) I saw great results which lead me to purchase a full sized pot. Since i’ve been using my own one I havent actually seen that much different or improvement in my skin. It’s a shame because i was sure this would be the mask that would work miracles! especially after my first use. I’ve not heard of them before, but can imagine being disappointed if I’d spent that much money! I’ll let you know if I find any saviours as I’m in the same boat skin wise! I’ve been wanting to try this for ages, but couldn’t justify paying that much for a mask even though it has all the hype! It’s a shame it didn’t work for you, and I’m not sure if I’d be purchasing this as I have heard some mixed reviews on it! Great review! ? It’s such a shame it didn’t work properly, for that price it should have cleared your skin in no time! Have you tried any homemade masks and remedies? You can find loads of ideas online, especially Pinterest, and most of the time they’re cheap to make yourself and if it doesn’t work at least you’re not spending a ridiculous amount of money. I don’t think I could recommend anything though, sorry! Hope it clears up soon. I’ve wanted to try GlamGlow products for a while after hearing so many people raving about them; it’s definitely made me hesistant about buying a full size product I think I’ll look more into the mini’s to try first. 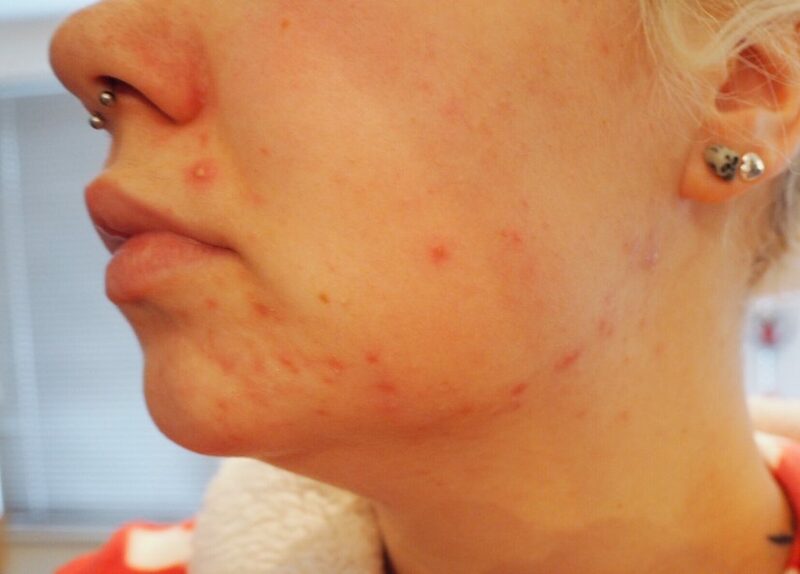 I know developing a skincare issue can really affect your confidence when it’s something you’ve never really suffered with before; a few years ago I had a bad breakout of psoriasis which really knocked my confidence, having never suffered with it before and it seems to have gone now too?! Anyway I just wanted to say you’re stunning and you shouldn’t let this affect your confidence or get you down. I’ve never heard of this product or used it, so I was intrigued by your post. So sorry you didn’t really see improvements! Also- thanks so much for being vulnerable enough to show your skin and the process- that can be hard sometimes. But that shows that you are real and genuine and that goes further. I wish you look in your health journey and in clearing up your skin. 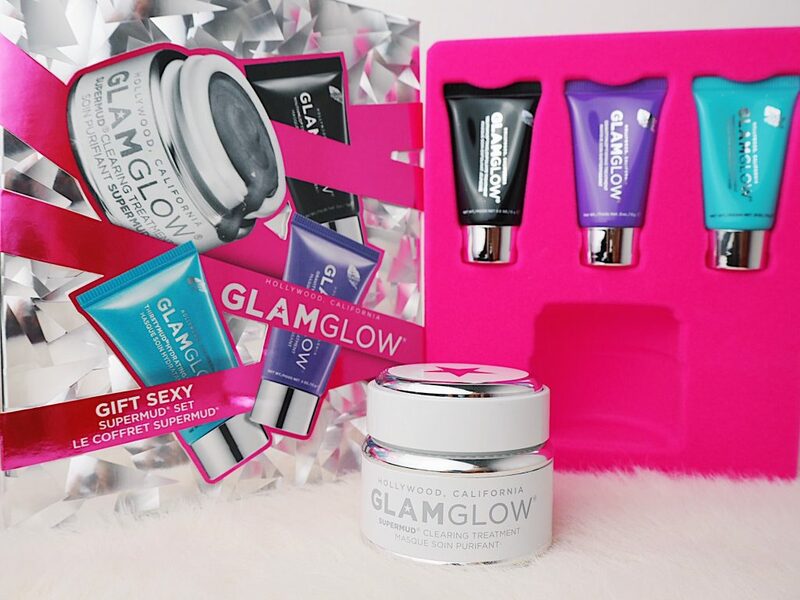 The glam glow face masks are definitely on my list of face masks to try. Their hydrating one appeals to me a lot more than their clearing ones.